You've taken the plunge to run a business and you've opted for running a business from home. But as you're probably aware there are a few things to consider to help you be successful. You've probably already discovered that running a home business can bring its stresses as well its good points, but there are a few things you can do to help keep things running smoothly. TV, games, personal calls - all distractions that are ready and waiting to drag you from your daily workload. Don't let these put up a barrier while you're trying to work. Dedicating the hours to your business may seem difficult at first, making the distractions even more tempting. But the hours you put in now will certainly help propel your business forward in the future. No doubt you have your setup the way you like it with your computer positioned just right with an empty spot waiting to be filled by a fresh cup of tea or coffee. But ensuring you have a strong broadband connection, reliable equipment and all the tools you require at hand, is an important part of setting up your business. But buying a computer and using it isn't enough in today's world. The recent RansomWare attack that took place last week on many organisations worldwide (including the NHS), proves how much you need to be on top of your technology. Remember to check for updates on a regular basis and download any patches. Ensure you have a good firewall and antivirus installed too to help detect these risks as soon as possible. But above all - keep back ups elsewhere (e.g. on a separate computer). If you love your work you're likely to bury your head in it at any given opportunity. Even though there's no physical separation between your place of work and your home, don't let that stop you from taking breaks. Breaks are important for your productivity and to help keep your mind fresh. Even if you go for a cup of tea, or a short walk, it's a break. Remember to try and keep your work life and personal life separate too to keep family relationships in check. This may be easier said than done in most cases, but remaining organised will allow you to reap the rewards later on. Ensuring you are on task will help you hit deadlines and remain focused on the task at hand. Don't forget, you don't need to be alone doing this. There are many tools available such as calendars, to-do lists and general organisers that can help you track these. Read how to make the most of the working week. It can be fun working from home but you need to ensure you keep on top of things and enjoy it at the same time. Hopefully the above tips will help. We'd love to hear how you keep yourself motivated at home. Tweet us your ideas. 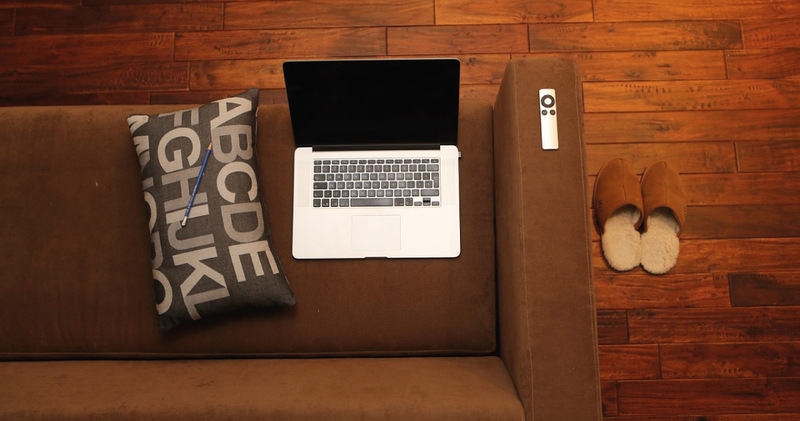 Don't forget that working from home can mean some changes, such as council tax and insurance. Our guide lists a few things you may need to check.